When Dracoyle reaches 1000 years old it rapidly undergoes a painful growth spurt, transforming into Aged Dracoyle. An extremely rare item, known as the Atomic Clock can compress time, triggering Dracoyle's transformation early. In this form Dracoyle gains immense strength and magical resistance, trading those traits for a lowered speed and magical ability. This form of Dracoyle is incredibly rare - just a few weeks after aging Dracoyle will approach the ocean and take flight. Soaring into the sky and heading toward the horizon. Unfortunately it makes for a melancholly sight - as all humans know, no hope lies beyond the shore. 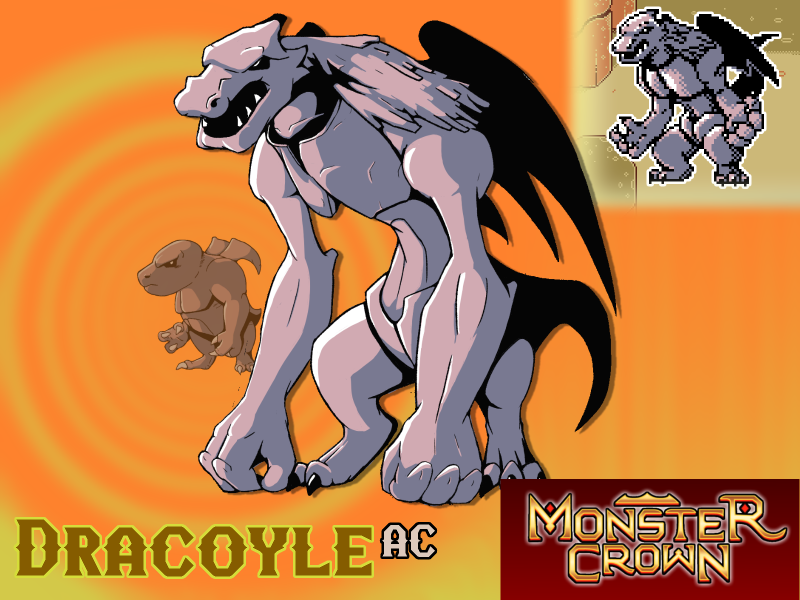 Will Dracoyle AC make your team? Hell yeah he'll make my Team!